Is Part-time Practice a Career Killer for Women Lawyers? Here is a subject near and dear to my heart. I lived it, and I can unequivocally say that the answer is “no.” No …. part-time practice does not have to be a career killer, but you have to have a plan and stay engaged in the practice. You also need to have a sponsor to support your part-time aspirations, and your law firm has to recognize the value of retaining talent. You also need to understand that the road to partnership is likely to be longer and paved in a certain amount of frustration and exhaustion. After all, the reason that most women lawyers want to work part-time has to do with family and care for young children, and the home experience during those years is no more a walk in the park than the office experience for those women. It is a lot to handle, but it is worth it to salvage a career. That is my story, and experiences like mine are reflected in a recent article in the Chicago Business on-line magazine, “Top Female Lawyers and Executives Find that Part-time Isn’t a Career Killer.” Chronicled there are stories of women lawyers like Rebecca Eisner, managing partner of the Chicago office of Mayer Brown, who has a part-time history, and Amy Manning, managing partner of the Chicago office of McGuire Woods, whose past includes reduced billable hours and telecommuting from home before she became a partner and took over the helm at her law firm. She attributes much of her success to a boss who did not want to lose her talent over something like reduced billings for a relatively short time during her career. It was a little different for me, and I am glad that we have come a long way from my experiences in the early 1980’s. In those days, it was hard to find such a forward-thinking partner to sponsor a part-time proposal, and there was no such thing as telecommuting. 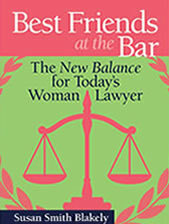 It also is true that most women lawyers did not attempt part-time practice. The obstacles were too challenging, and most of them threw in the career towel. So did I for awhile, but I went back to practice part-time, and what a difference that made for the rest of my career. As one of the women interviewed for the Chicago Business article said, “[Part-time] did slow me down on the promotion path … and that was fine with me. It’s just what I needed to keep my sanity at that point in life.” I could not have said it better. 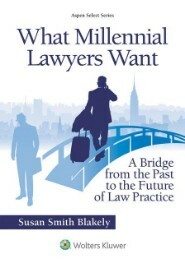 As the Chicago Business article points out, today it is all about the culture of law firms. If reduced hours at your firm translates into lack of commitment, that is probably not a place to hang your career hat. Although law firm cultures are hard to change, it now is time for change. Law firms are losing too much talent and need to initiate changes to accommodate the flexibility that both young women and young men need to raise children in two-income families. 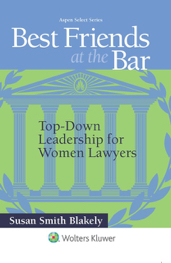 Law firms should care, as I point out in my new book, Best Friends at the Bar: Top-Down Leadership for Women Lawyers (Wolters Kluwer/Aspen Publishers), which will be released later this summer. They should care about losing talent, attracting and retaining clients who respect diversity, and protecting law firm succession plans. All of that is more important today than ever before in a highly competitive legal services environment . My favorite part of the article is the description of how women who practice part-time must “stay tethered intellectually to their company” or firm. That is a powerful metaphor. I see that tether as a lifeline, and so should you. Part-time practice does not have to kill careers. Lack of ingenuity and flexibility on the part of law firms may, however. I am blessed. Both my father and my husband served in the military and sacrificed for our freedom. I do not take it lightly, and I am very proud of them. My Dad was in Europe for more than 2 1/2 years during World War II while my mother kept the home fires burning for herself and their young son. My husband was overseas during the War in Vietnam, and those were difficult times for all of the young men and women caught up in that war. So, today, I ask you to remember the following inscription from the Memorial at the American Cemetery overlooking Omaha Beach in Normandy, France, site of the D-Day Invasion of German-Occupied France by Allied Forces in June 1944. There are few left who experienced it, but we all can remember it. We must remember it for the sake of honoring our heroes and assuring our freedom. Take a moment to remember someone who served or is serving. Thank him or her if you have a chance. It is a small thing for you and a huge thing for them. They understand sacrifice and service in a way that many of us could easily take for granted. Although the retention and advancement rates for women lawyers in law firms continue to be dismal, the landscape is different in corporate legal offices. A recent article demonstrates the progress that women are making in corporate law offices and the improved attitudes about the woman lawyers pool in corporate law departments. This improved landscape for women in corporate legal offices is good news, and, like most good news, it creates significant opportunity. In this case, the opportunity is for women in law firms to use the special interests women lawyers share to develop relationships with the women in-house lawyers and develop more corporate clients. One thing we know for sure is that women in corporate law offices are looking for their counterparts on outside counsel teams. It is a repeated theme in programs and media today, and it makes sense. It should not be written off as just an exclusionary attitude that diminishes the value of male legal counsel, but, rather, it is that age-old documented habit of people preferring other people like them. This habit is at the heart of why men often prefer to promote other men, who remind them of themselves, and that is a kind of unconscious bias that women lawyers have fought for years and continue to fight. We don’t like it, especially when it stands in our way, but what if we can make our own “preferences” work for us? I am not suggesting that we repeat the mistakes of the past and discriminate in harmful ways. But, reality is reality, and opportunity is opportunity, and there is nothing harmful about women lawyers gaining more clients for their firms. In fact, that alone is the most certain way to advance in a law firm, and we need to make the most of these opportunities. If women are appearing in powerful in-house legal positions in increasing numbers, then it is time for women in law firms to take advantage of what has become a great client development opportunity. So, get out there and take advantage of the changed landscape. 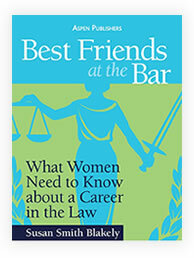 Do some research and find out where your greatest opportunities lie, and make women in-house counsel front and center in your client development plan. The time never has been better for women to develop clients. Make the most of it!